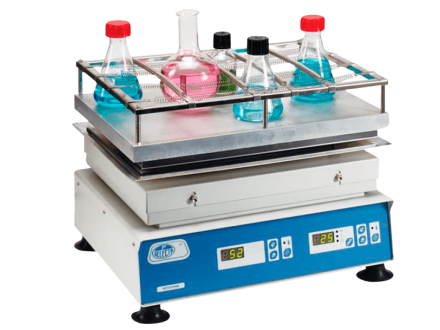 Magnetic stirrers that can be used on solutions in a single Erlenmeyer. The magnetic stirrers use a rotating magnetic field to cause a stir bar inside the solution to spin very quickly. The field can either be created by a rotating magnet or a set of stationary electromagnets placed beneath the vessel. Orbital and linear motion shakers use an oscillating board that starts to shake to mix the solutions on the board. 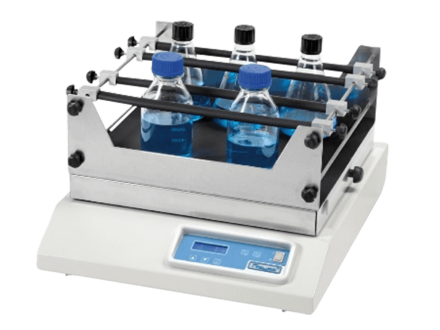 Even though these shakers are often being replaced by magnetic stirrers, they are still preferred for larger volumes. The JP Selecta high volume oribital shaker uses an oscillating board to mix solutions. Shakers are mainly for high volumes. 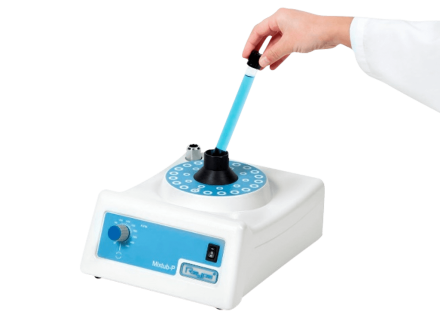 The RAYPA Vortex shaker is ideal to stir solutions in a tube. 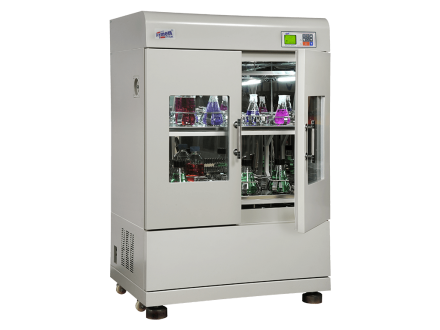 The RAYPA Orbital shaker is a digital adjustable orbital shaker. It has an LCD display and it operates silent. The JP Selecta Rotaterm uses an oscillating board to mix solutions and has heater elements in the aluminium top plate.